Nintendo is keeping a tight lid on all the things related to its upcoming next generation video game console, which is currently only known by its codename; NX. The Japanese platform holder has iterated several times that it won’t talk openly about the new console any time before next year. However, as the rumor machine rolls on, it seems like things may be heating up more quickly for the Wii U’s successor than previously thought. Rumors that recently emerged on the internet suggest that Nintendo NX is to enter manufacturing in October, and that the console won’t be as powerful as the PlayStation 4. Digitimes, a Taipei-based news organization, recently published a report claiming that Nintendo has been paying visits to their supply chain partners lately, and has already signed a new contract with Foxconn Electronics, a Taiwanese multinational electronics contract manufacturing company, to begin pilot production on the new console this year by October “at the latest.” According to Digitimes, this new information was obtained by an inside source. 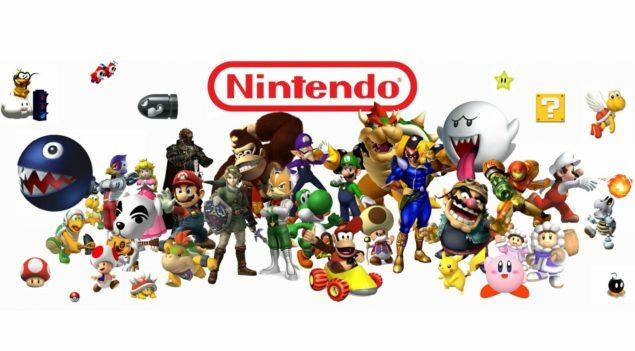 Nintendo NX is expected to debut on or before E3 2016, with a scheduled release for later that year. However, the report claims that mass production on the upcoming console will start next year in May or June, and that the new system will be possibly see an official launch in July 2016. Once the initial production begins, several other manufacturing companies will likely join in to boost the process. It is still unclear if Nintendo NX will be launched globally in concert or see a gradual roll out, although the report claims that Nintendo is getting ready to ship 20 million consoles in its first year. Of course, all this information comes from a third-party source and no part of it has been confirmed officially. In another rumor that comes from Liam Robertson of Unseen64, Nintendo is not targeting the hardware capabilities of the eighth generation console that is leading the market right now. 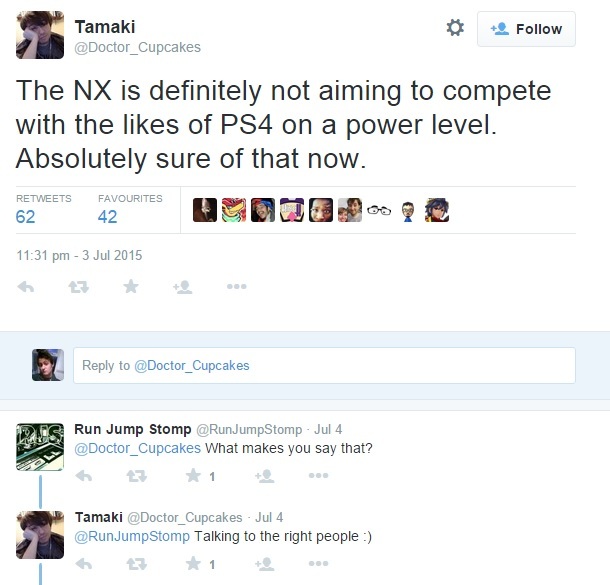 He recently Tweeted about the relative power of Nindendo NX, claiming that the new console won’t compete with Sony’s PlayStation 4 in terms of graphical capabilities. You can check out the tweet below. Note that Robertson is known to be a very reliable source when it comes to the inside information. He is the guy who accurately leaked data on Project H.A.M.M.E.R.’s in-game environments, and also revealed that Criterion Games almost created a new F-Zero game. There have been several different rumors circulating the web since Nintendo NX was first revealed, but the company has only clarified little. These new rumors have seen no official response from Nintendo as of yet, and so, all this new information should be taken lightly. The Japanese platform holder is expected to talk more about the successor to its eighth generation Wii U video game console sometime next year. We can’t be sure of anything said related to the console until then, unless Nintendo decides to speak officially about it.